GDO0096YB is the graphic OLED display module made of 128x64 yellow and blue OLED pixels,diagonal is only 0.96 inch.The controller ic SSD1306, communicates via 6800/8080 8-bit parallel and I2C/3-wire/4-wire serial interface,thanks to controller's built-in voltage generation,only a single 3.3V power supply is needed. Because the display makes its own light, no backlight is required. 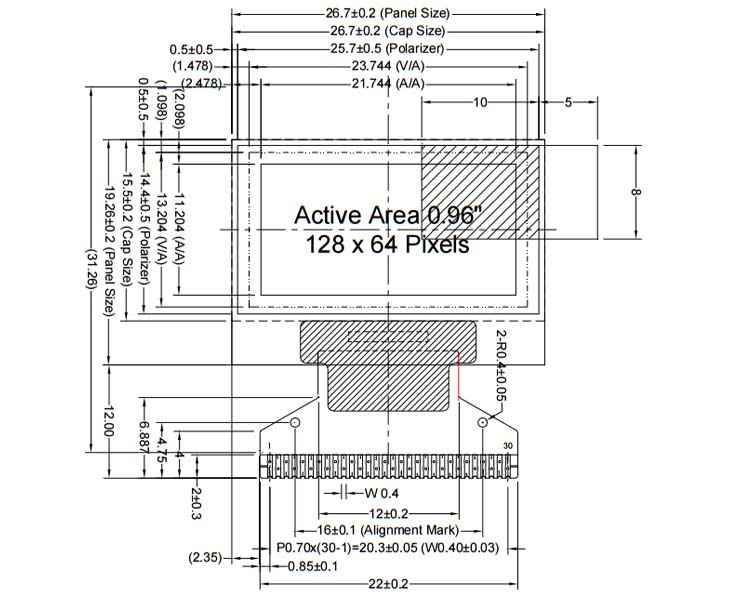 This reduces the power required to run the OLED and is why the display has such high contrast,extremely wide viewing angle and extremely operating temperature.The fpc is the soldering type,no need connector.Just solder the FPC on your PCB directly.